Join us for an Academy Days and take a tour of our campus. We would love to meet you and have the opportunity to share with you our vision, Academics, and Excellence. Our next Academy Days is March 22-23, 2019. 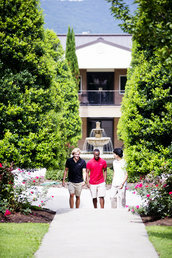 Campus Tours are available by appointment or “drop-ins” on the weekdays, throughout the school year. Please call our admissions department at 706-625-7139/7147 or 706-676-6893 or email jfreeman@gcasda.org to schedule your tour.